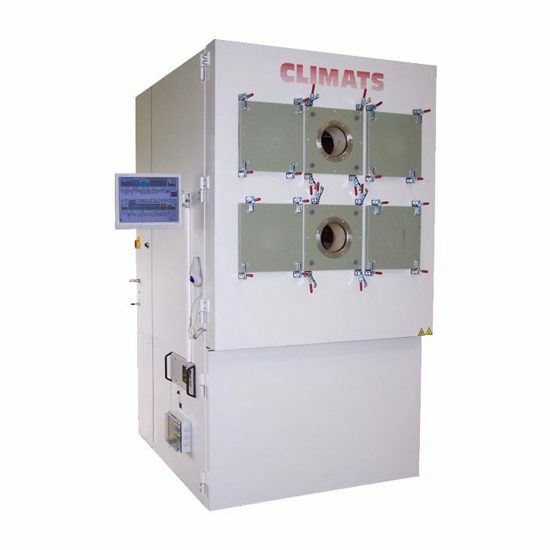 Excal environmental chambers transformed into air generators. 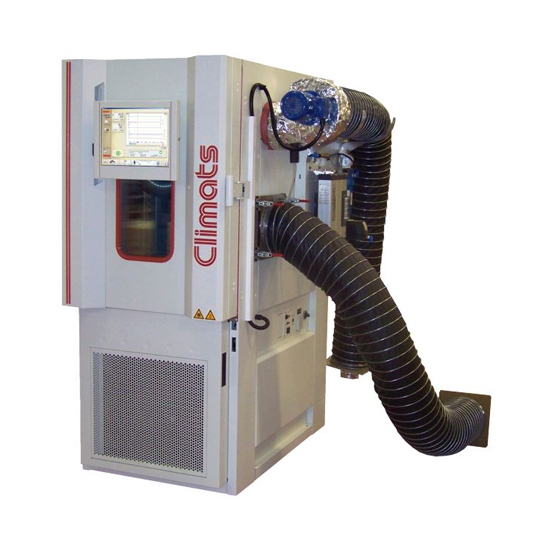 These air generators are equipped with 2, and up to 6, sheaths which are easily demountable because they are connected thanks to quick fasteners. 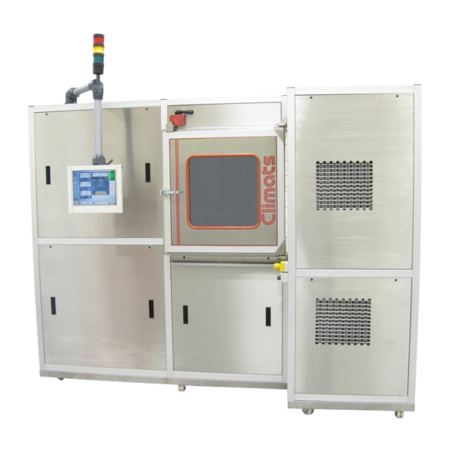 This system of sheaths enables to supply one or several “receiving cases” or to force air from different angles upon only one product. 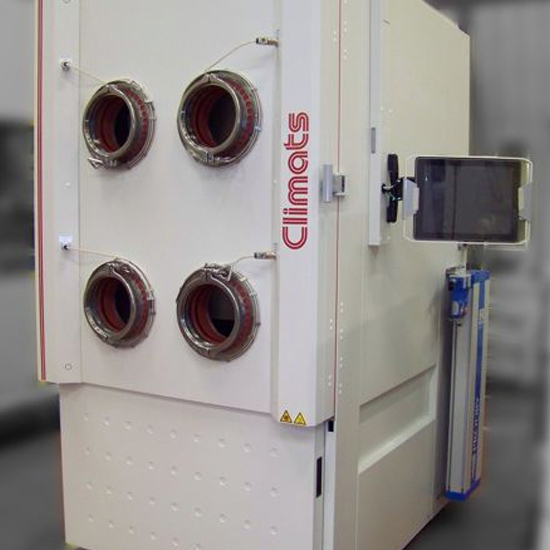 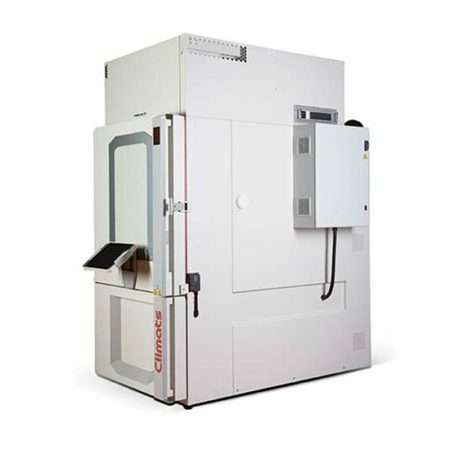 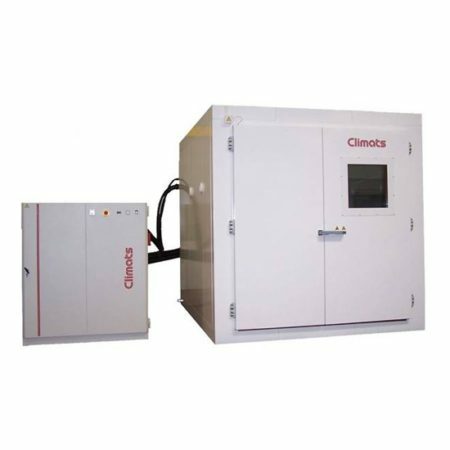 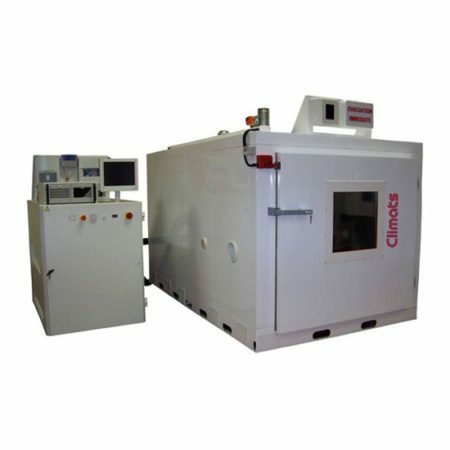 One of their, not inconsiderable, assets is that CLIMATS air generators upon specifications can quickly and simply be change back into classic environmental chambers.